Dealing with Difference: Peril or Promise? – Pearl Of The Islands Foundation Inc. Dealing with Difference: Peril or Promise? 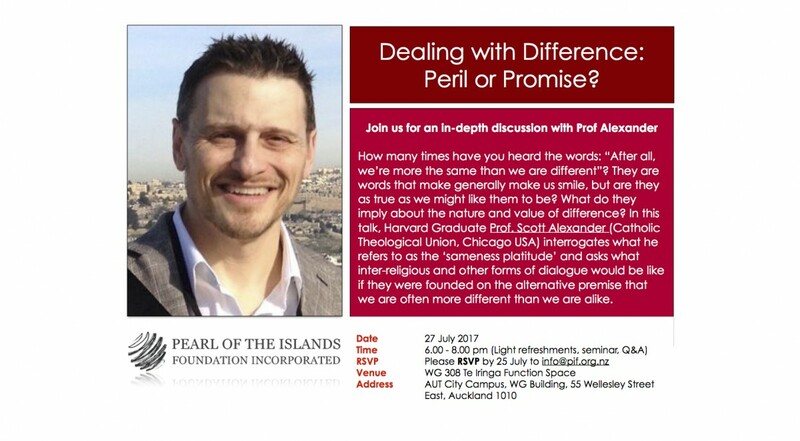 Home > Upcoming Events > Dealing with Difference: Peril or Promise? How many times have you heard the words: “After all, we’re more the same than we are different”? They are words that make generally make us smile, but are they as true as we might like them to be? What do they imply about the nature and value of difference? In this talk, Harvard Graduate Prof. Scott Alexander (Catholic Theological Union, Chicago USA) interrogates what he refers to as the ‘sameness platitude’ and asks what inter-religious and other forms of dialogue would be like if they were founded on the alternative premise that we are often more different than we are alike.